Checking the furnace is another one of those ubiquitous but undocumented Canadian traditions. You must change the filter and fire it up to make sure everything works. When the first chill hits, don’t shiver under a blanket, hoping the service van shows up soon. This article weighs the advantages and disadvantages of buying a high-efficiency furnace in Toronto. We will also look at high-efficiency furnace installation. Should you buy a new high-efficiency furnace? Without question, it’s time for a new high-efficiency furnace if your old one stops working. 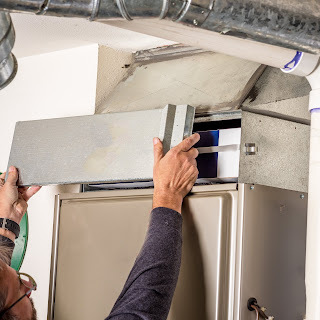 In some cases, your old furnace might still be working, but if it's very old, consider replacing it with a more efficient model. With a replacement, you can enjoy the quiet and comfort right away. You will also save money in the long run. The efficiency of your heater can make a significant difference to your energy bills. This difference can add up to hundreds of dollars per year. At some point, it’s also more cost-efficient to replace your furnace. Get a high-efficiency new unit rather than maintaining the old one. Let an HVAC professional check your furnace if you’re at all troubled by its age. Is your furnace less than eight years old? Is the estimate for repairs less than $400? Then the best solution is to have it fixed. Is the estimate more than $500? Then the optimal solution is to replace it with a new energy-efficient furnace. If it’s less than ten years old but working well, there’s no immediate need to replace it. Ensure that an HVAC professional services it every year to keep it in tip-top condition. You may need to replace your furnace if it’s more than ten years old. With the heating systems available today, the process is simple. You can choose one of the efficient models available on our site. Modern units last much longer than the older ones. You can check out www.airmakers.ca for installation, repair, and inspection. We serve clients throughout Toronto and the GTA. We measure the efficiency of a furnace by the amount of heat produced. How much heat does it use to warm your home? How much of it goes to waste? Mid-efficiency furnaces that are only a few years old will be around 80 percent effective. A modern high-efficiency furnace from Air Makers is at least 92 percent efficient. The government considers mid-efficiency furnaces to be inefficient. They have barred manufacturers from making them. The energy needed to heat your home can comprise more than half of your energy bill. That’s why so many homeowners are looking into buying a high-efficiency furnace. Toronto homeowners have been slashing energy costs with these reliable systems. They are also quiet, affordable, powerful, and effective. When buying, aim for a furnace with an efficiency rating of at least 95 percent. It should also be Energy Star and EnerGuide-certified. The lowest efficiency rating allowed by the federal government is 92 percent AFUE. If your budget allows it, go for our recommendation of 95 percent. It's also imperative that you don’t focus your decision on the upfront buying price. You need to establish the size and type of heater most appropriate for your home. Get the dimensions before you have one installed. You also need to know the decibel level of the furnace when it’s working. Be cautious with any producer that doesn’t include a good warranty on their heaters. With prices ranging from $3,000 to $5,000 installed, changing a furnace is expensive. On average, an older heater takes between 18 and 22 years to reach the end of its life. Change it before it breaks down. That way you can enjoy various grants, rebates, and tax credits that subsidize the cost. Who knows if a helping hand will still be around when your furnace breathes its last? Homeowners in Toronto can get a low-interest loan of up to $75,000. These funds are to cover the cost of energy efficient upgrades to their homes. Financing is available through the city’s Home Energy Loan Program. You may also qualify for up to $1600 in rebates depending on the type of furnace you buy. You can also investigate the Independent Electricity System Operator’s offer. They give rebates when you buy a furnace with a tankless water heater or an air conditioner. The Heating and Cooling Incentive Program also offers rebates. This program gives a rebate for installing a new Energy Star high-efficiency furnace. Without quality installation, your furnace may never deliver its expected energy savings. Replacement furnaces need special consideration. They must interact with existing ductwork and other building systems. Not all HVAC professionals follow best practices when doing high-energy furnace installation. In 2012 the Toronto Star reported that some homeowners found installation difficult. Installation is of concern to townhouses. It is also of concern to homes where the furnace is at the center of the basement. The venting for high-efficiency furnaces must run outdoors. It must end in a location that is not too close to any windows or doors. Placing the vents too close to doors or windows can cause exhaust gases to re-enter the home. 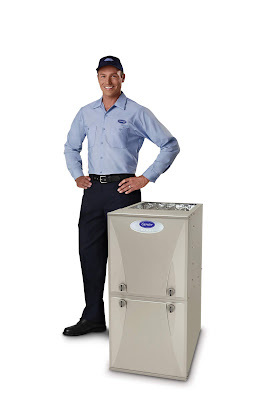 You will therefore need to choose a suitable location for your new furnace. Each unit outlines the requirements for clearance and ventilation. Speak to your HVAC professional you foresee any of the difficulties mentioned earlier. He or she will help you select a unit that’s right for the space you have available. Keep in mind that high-efficiency furnace installation is intricate. You should never attempt it as a DIY project. You will also need to install a condensate drain. This is usually a CPVC tube or pipe that empties into a floor drain. An HVAC professional must install this drain in such a way that it does not kink or get blocked. Contact Air Makers now for proper high-efficiency furnace installation in your home. We will help you select your new high-efficiency furnace. We will also install it according to the manufacturer’s specifications. Call 416 332 2493 or e-mail us at info@airmakers.ca! We respond super fast! Subsequently, after spending many hours on the internet at last We\'ve uncovered an individual that definitely does know what they are discussing many thanks a great deal wonderful post about hvac repair this topic.